We understand the choice of kids! Vibrant, colourful, trendy, flexible and handy, that is why we offer all custom sizes of toy packaging boxes with full colours printing and die-cut laser technology. Whether your product is miniature or extra-large, we can supply all sizes of children personalized toys cardboard, corrugated or frosted plastic boxes. 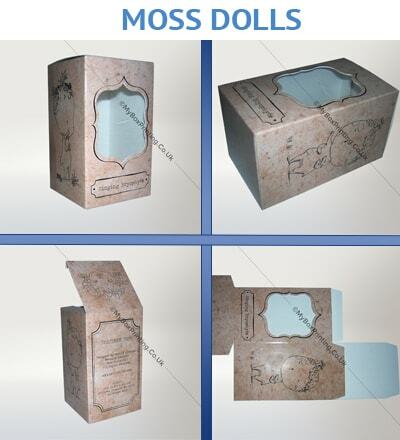 Our creative artwork team can assist you in creating nice artwork for your product packaging boxes. All designs are personalized to your product. We have the capacity to deliver up to 25,000 custom cardboard toy packing boxes within 6 working days (*after final artwork approval). My Box Printing offers mass printing and laser cutting facility for almost all major countries in Europe with free shipping, lamination and artwork. For Free quote, kindly email to Sales@myboxprinting.co.uk. 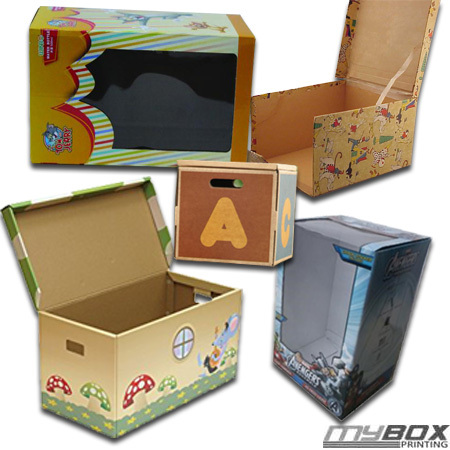 We really wanted some high quality custom printed Toy boxes with logo and graphics. These guys printed and designed really high quality artwork. We loved cardboard printing laminations. Kids absolutely loved it. I think they are the best supplier for kids and children toys boxes and bags in UK.